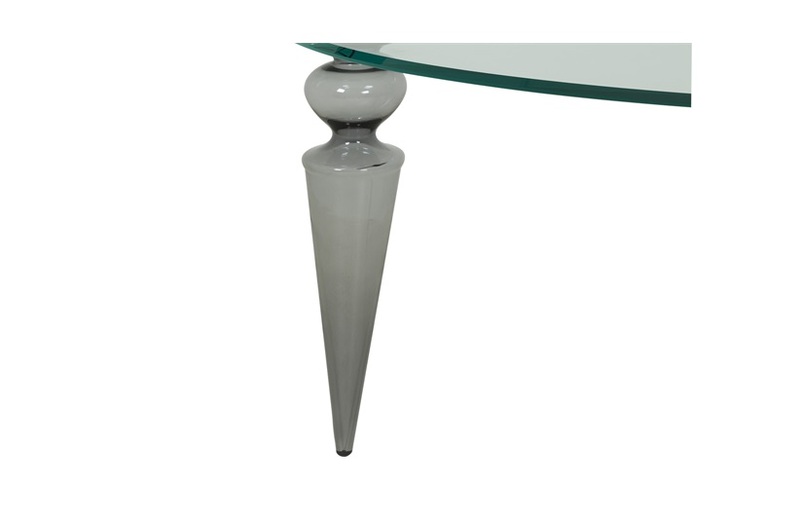 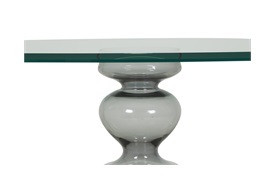 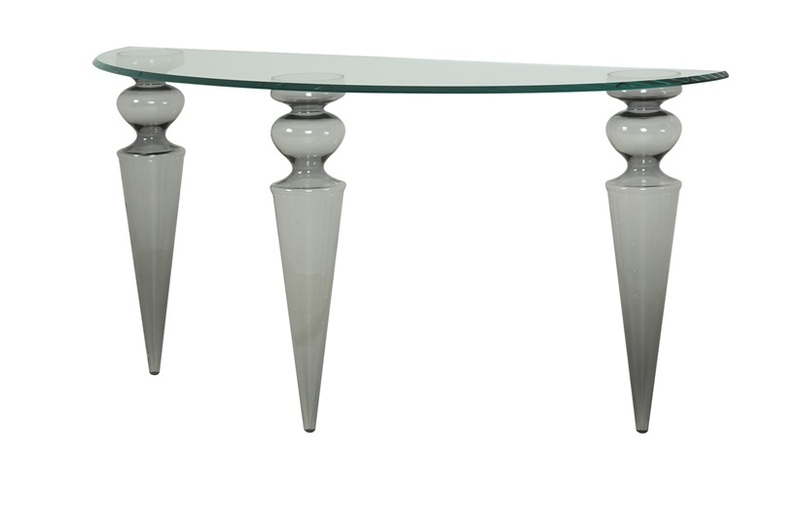 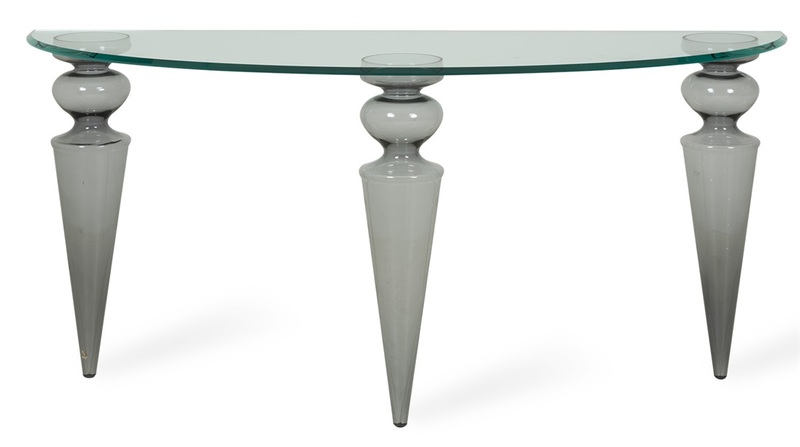 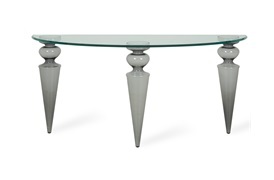 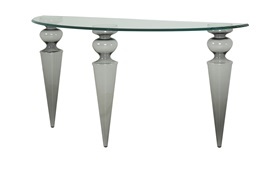 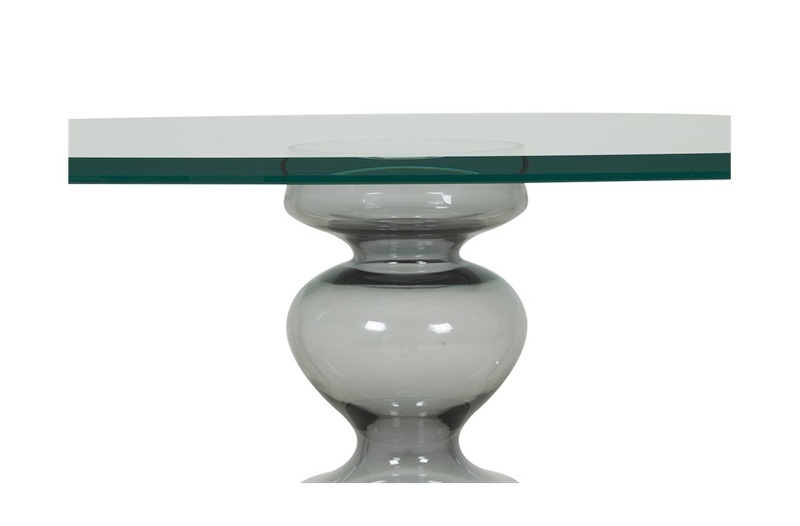 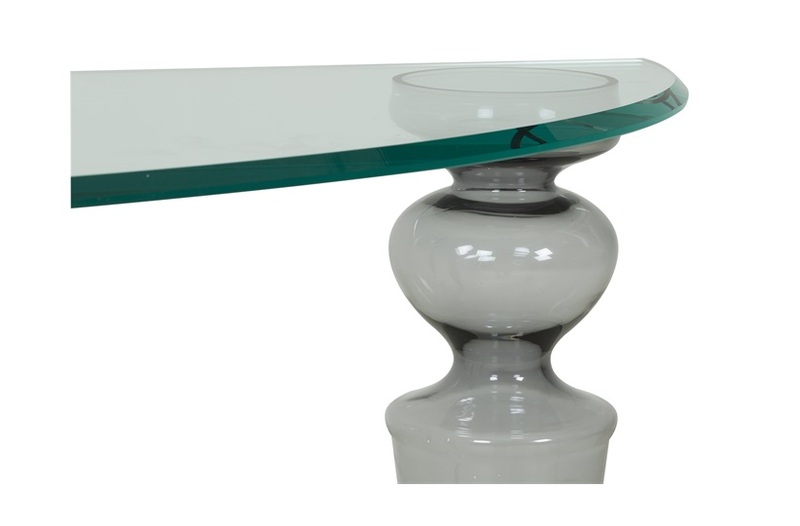 Crafted with a curved glass top and curved edges and balanced by hand-blown Murano glass legs. 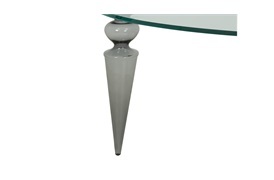 Gran Canal is our luxurious range of consoles, dining, coffee and side tables, offering a striking and luxurious addition to a contemporary interior. 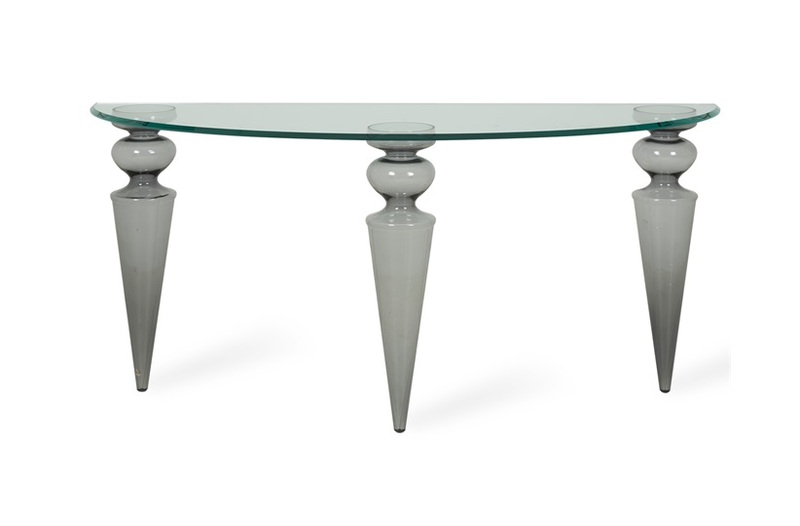 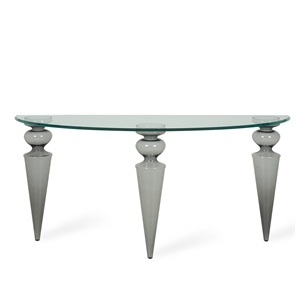 15mm shaped glass top w bevel and blue grey legs . 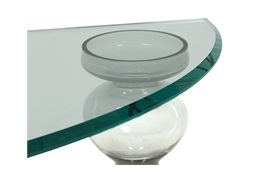 Lead time 11 weeks if not in stock .